Be the thread of hope for a child! When a child visits Child Advocacy Services (CAS), they select a button from a jar. This is a very personal selection because this button represent them. It tells their story. These stories are raw, emotional, and heart wrenching. The button selection may take a long time. They are asked to leave a button to help other children see they are not alone. Children desperately need the services of CAS - an organization that gives them a voice, a sense of security, and help with healing. Like buttons, children come in all shapes, sizes, and colors. And they all need a secure thread to hold them tightly and let them know there is hope. Brave children share their stories. Courageous adults help these children through their trauma and assist them in finding safe and secure homes. 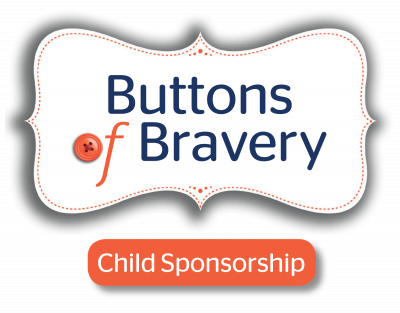 Buttons of Bravery represents the journey of One Child for One Year under the care of CAS. Please help children in our community who are victims of abuse or neglect by supporting Child Advocacy Services’ Child Sponsorship Program. To make a tax deductible donation or for more information, please contact us at 985-902-9583 or lreynolds@childadv.net. Join others as a group to be a child sponsor from your company or organization! The Centers for Disease Control and Prevention estimate that the lifetime cost of child abuse and neglect is 124 billion dollars annually, and, according to a recent study, substantiated cases of child maltreatment in 2015 alone will cost the United States a total of 428 billion dollars.